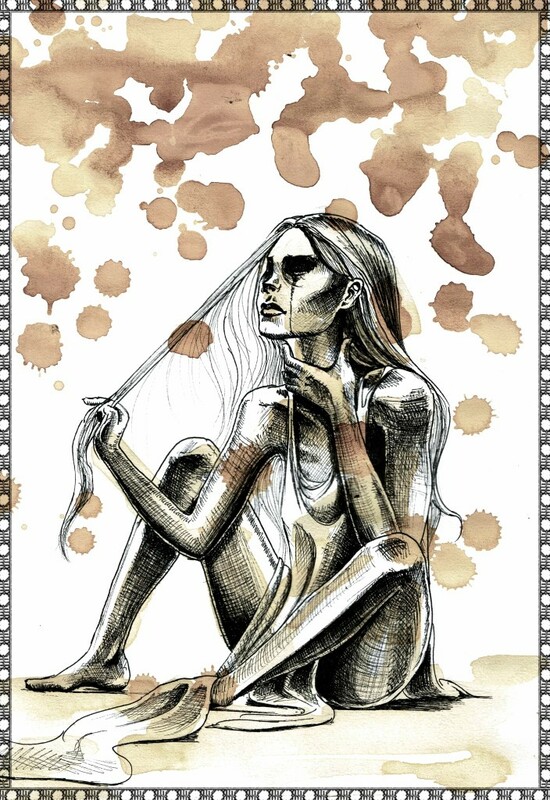 “The Longing (Polish: Tęsknica) is a Slavic demon who was imagined as a pale female spectrum. Longing was sometimes also called Osmętnica. That demon is a personification of the state of morbid reverie and longing. This pale woman was bringing the human incurable sadness, called melancholy. Longing fell from the sky with the stars from black storm cloud. On her head she wore a wreath of dry fern, she wrapped herself with a gray tatter pulled out from under the couch of the deceased, on her feet she wore clogs made by herself of green cane from the lake or water weeds rising over the waters. She walked slowly, head bowed, sat frequently in cemeteries or figures at the crossroads.